Supernova mentors must be 21 or older and be subject matter experts in a STEM (science, technology, engineering, mathematics) field and be registered under the new Supernova Mentor position code 52. A mentor is ideally someone who has successfully negotiated a STEM career path or has other subject matter expertise (such as hobbies or other special training) and is willing to share accumulated wisdom and experience. To work on any level award you must be registered in that program. This is a non-unit position and requires no fee. In addition to the BSA Adult Registration form, mentors must complete the Supernova Awards Mentor application, and the online mentoring training. As a supernova mentor, your mission is to join fun with learning. You are both a teacher and mentor to youth as they work on an award and learn by doing. The Supernova Awards challenge Scouting youth who have a greater interest in the STEM fields to experiment, understand the outcomes of these experiments, and present their findings to their Supernova mentor. These awards can earned by Cub Scouts, Scouts BSA, and Venturers. By presenting opportunities for growth by way of engaging activities, you can pique a youth's interest in a STEM subject. Just think: Your hands-on involvement could inspire youth to develop a lifelong hobby, pursue a particular career, or become an independent, self-supporting adult. By serving as a supernova mentor, you offer your time, knowledge, and other resources so that Scouting youth can explore a topic of interest. STEM is fun! STEM-related activities and Nova awards are designed to be fun. We want to build confidence and communicate that career opportunities in STEM fields are attainable, fulfilling, and interesting. Be safe! All experiments or projects should be conducted using the highest level of safety protocol and should always be under the supervision of a qualified, responsible adult. Encourage youth. The goal is to encourage youth to stretch and grow, yet not frustrate them or turn them off of STEM activities by making them too hard. This is addressed within the scope of the requirements for each age group, but you will be the one assessing your youth's readiness. Age makes a difference. There can be a very broad range of abilities and knowledge among youth of the same age. Some of this may depend on where they live, their school system, or their socioeconomic background. The awards have been designed to take this into account. Group size. When mentoring a group, it is recommended no more than 8-10 youth per group. Time limit. There is no set amount of time or number of sessions other than aging out of a specific program. Completing the requirements takes some work and includes some research. Most Supernova activities will take several weeks or months to complete. Know your youth! 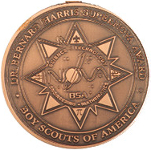 For the Scouts BSA supernova awards, the Scout must be First Class and have earned any three of the four Nova awards for Scouts BSA. There is a requirements book for each BSA program, and each book includes Nova requirements, Supernova requirements, and a counselor/mentor section. For more information go to www.scouting.org/stem-nova-awards/. After completion, Scouts will fill out their Supernova application found on www.scouting.org. If you would like to sign up as a Supernova Mentor, please contact the council office in any of the following ways. Also, if any of your personal or contact information changes, please let us know. If you are not currently a Supernova Mentor, or you know someone that you would like to refer; in brief, the requirements are: 21+ years of age, some experience and proficiency in the STEM area, a willingness to work with youth and abide by BSA policies (cannot add/delete from STEM/Nova award requirements) and to follow Youth Protection Training (YPT) when meeting with youth and to be registered with the BSA. Rosters are managed by the Council Advancement Chair and are merged to form a Council-wide list.